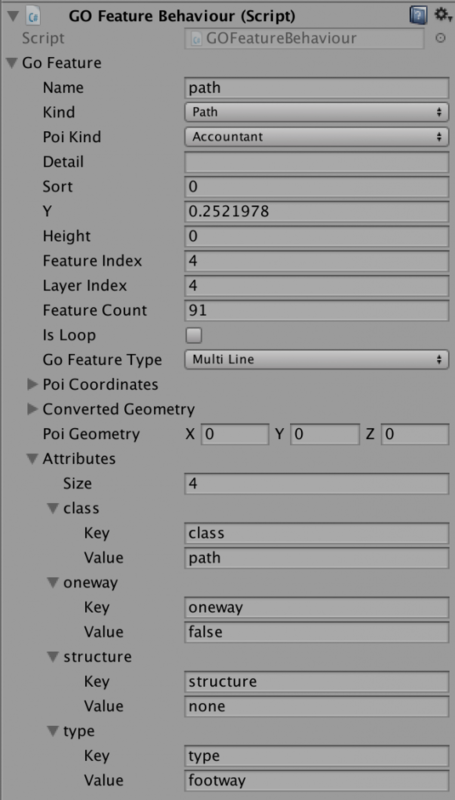 Check the “Add Go Feature Component” in the GOMap inspector to have this component attached to every feature. This component contains an instance of GOFeature.cs containing all the information retrieved from the API used to download the data and some information added by GoMap. The Attributes section is the exact “properties” data that comes from the server. You’ll notice that some APIs have a more complete set of properties per features and others have fewer.